We are obsessing over our new Mid Century Shiplap Wall! 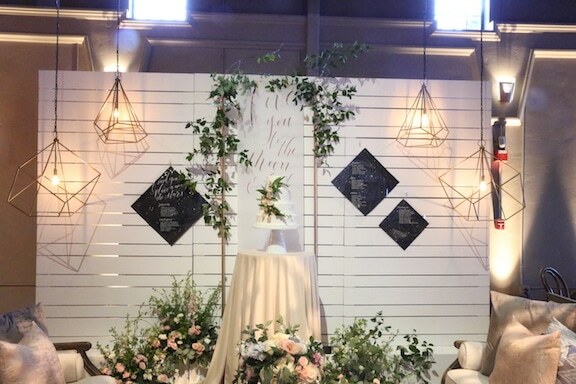 It paired so well with our Geometric Chandeliers and Nicole Ha‘s amazing florals at Romance in the Vineyards. We can’t wait to share more photos!